A desire to help the city of North Platte, Nebraska, motivates its five operators to tackle even complex motor and pump repairs. “We’re always listening for the whine of a motor bearing going out in the two aeration basins,” says Tyson Geisler, operator. Each basin has three 20-foot-wide channels with 54-inch-diameter rotating discs powered by four double-shafted 50 hp motors and four single-shafted 25 hp motors per side. The motors, too heavy to lift without renting a crane, are maintained from catwalks. Replacing a bearing requires two operators to remove the motor’s armature, then roll it on a pallet truck to the end of the catwalk. A skid-steer loader delivers the pallet to the shop. “If we’re down for a while, we wrap the motors in plastic trash bags to keep moisture out of the windings,” Geisler says. 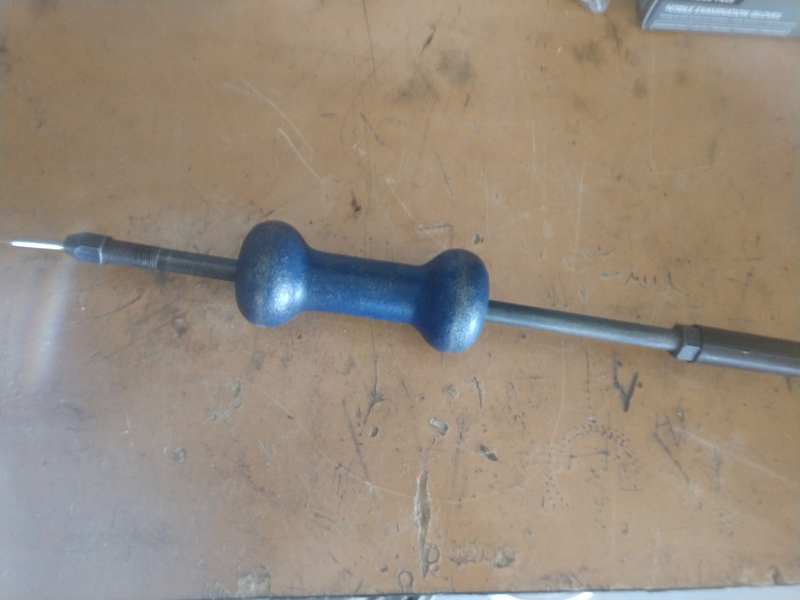 To remove bearings without damaging the outer race, Eric Farritor, operator, fabricated a slide hammer seal puller based on a tool he used in his dad’s automotive salvage yard. “It’s a rod threaded on both ends,” he says. “At the head is a stop nut and handle. The foot has a collar holding a Phillips screw, and the slide hammer is in the middle." Operators drill and tap a hole in the seal, thread in the Phillips screw to tighten the tool against the bearing, then hit the nut with the hammer to extract the seal. After inserting a new bearing, they return the armature and assemble the pump. The level of difficulty increased when Doug Meyer, superintendent, told the operators to replace the bearings in a screw centrifugal pump. The plant has three 40 hp hydrofoil Weir Specialty Pumps (WEMCO) pumps sending return activated sludge from the clarifiers through the drum screens. “Doug had confidence in us, but we were hesitant,” Geisler says. “Getting it wrong could mean replacing the pump.” The operators reviewed the schematics and photographed each step as they tore down the unit. When uncertain, they consulted a local WEMCO dealer, especially to maintain the correct clearances during reassembly. Then the team tore down the two progressive cavity pumps by Moyno, a unit of Robbins and Myers, that send 100 gpm of sludge from the interchange tanks to the belt press. Before replacing the worn stators, bearings, and rotors, the operators studied the pump’s schematics and watched an instructional video on YouTube. “We even ordered the replacement parts,” Geisler says. “After dismantling the first pump, the second one was simple."